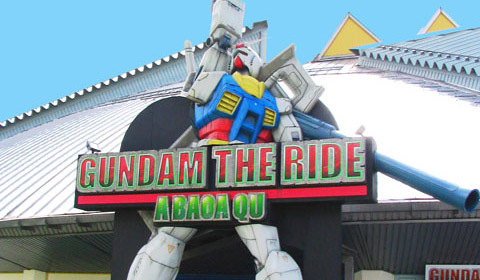 Back in July of 2000, the Fuji-Q Highland amusement park opened Gundam The Ride. You were escorted onto a Federation transport and carried through the final battle of the One Year War, A Baoa Qu, by two chirpy GM pilots. The ride was full of wondrous little references which all zoomed past at lightning speed. 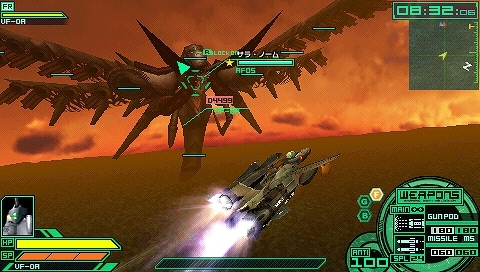 A few years later, in 2003, Bandai released Meguriai Sora on the PlayStation 2 (this was later released abroad as Encounters in Space). Within one of the latter campaign levels there was a nice little reference to the ride, as you encounter the transport and the GM’s in the middle of a Dolos class ship. Naturally, very few in the Western gaming press picked up on this rather cool reference. Unfortunately, the ride closed down in July 2007 and was replaced by Gundam Crisis. Thankfully, someone managed to capture the ride for posterity before it shut down. So I’ve linked that below as well as a capture from the game that featured the cameo from the ride. A nice long promo video for Super Robot Wars Neo was released recently, as the game is gearing up for release at the end of October in Japan. These videos are normally the ones given to high street shops to advertise the game in store (hence the length and the fact it goes through every series featured). 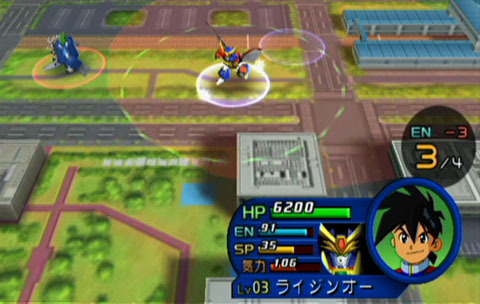 Unlike the main bulk of Super Robot Wars games, Neo uses 3D models in the attack animations and it’s also the first game in the series to be released on the Wii (hence the slightly kiddy line-up of mecha). Despite being a port of the GC and XO games, Neo does have a bit more going for it as Banpresto have utilised a full 3D map and streamlined the whole body parts system. In that, you can no longer target the head or legs of an enemy mecha. Hopefully, unlike XO, Neo won’t feature a horrifically evil final boss fight. 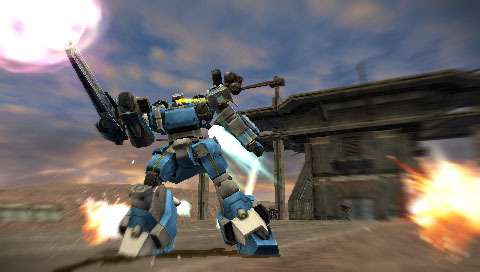 As part of our service, we regularly post videos from our YouTube channel showing off the latest mecha games. 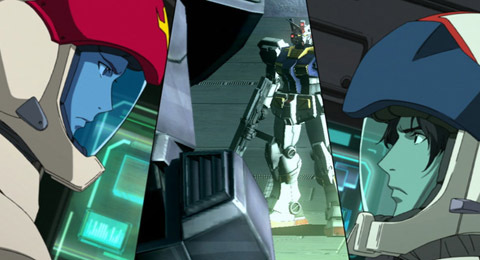 To tie in with our recent review, we’ve captured three gameplay videos of the new PlayStation 3 exclusive Gundam Senki 0081. Naturally, these are quite spoiler ridden in terms of the game’s narrative so you’ve been forewarned. The videos were captured at 720p too, so make sure to select the HD option. What with this years’ Tokyo Game Show around the corner, the Japanese games industry marketing machine is going into overdrive. The upcoming Front Mission Evolved, being developed by Double Helix, has been given another trailer. Unlike the first, this teaser is predominantly CG footage and not in-game (which is a bit of a shame really). That said, the wanzers have been recreated faithfully enough it seems so there’s at least that aspect to be thankful for.